Polymer Expert Witness | Professional Analysis and Consulting Inc.
Our polymer expert witness can engineer specific tests to determine the necessary equipment needed to ensure tests are conducted in a scientific and reproducible manner. Our chemist can stand as a polymer expert witness for trial hearings requiring their services. Specializing in polymer patent infringement, a polymer expert witness will work with patent attorneys in case preparations and prosecution. Our customers will benefit from state of the art technology, properly calibrated and maintained equipment, and our highly experienced and efficient technicians. If for any reason you feel you need polymer expert witnesses, feel free to give us a call at 630-466-4040 and schedule an appointment or fill out our easy to use form to the right and a representative will respond shortly. 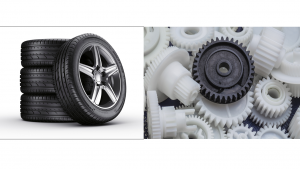 Polymer expert witnesses have experience in the operation and failure of fibers, components, gaskets, sealants, adhesives, composite structures and coatings that are manufactured from plastics and polymeric materials. Our technicians will perform a mechanical and environmental evaluation to confirm the correct type of plastic and polymeric material to use on the application. A polymer expert witness understands that some complex issues are associated with patents, trade secrets and intellectual properties. A polymer expert witness can determine if the incident occurred due to a mechanical failure, or just simply human error. Professional Analysis will assign the appropriate polymer expert witness for your case. Our experience crosses a broad range of chemicals and materials including polymers & plastics, coatings, fuels, catalyst, refrigerants, filtration media, membranes and pharmaceuticals. If for any reason you feel you need our polymer expert witnesses, feel free to fill out our easy to use form to the right and a representative will respond shortly or give us a call at 630-466-4040 and schedule an appointment.